The Gear Raffle is BACK! “It’s like the lotto but you can’t use your winnings on a jet ski,” says Justin Price, member of PD Factory Team. 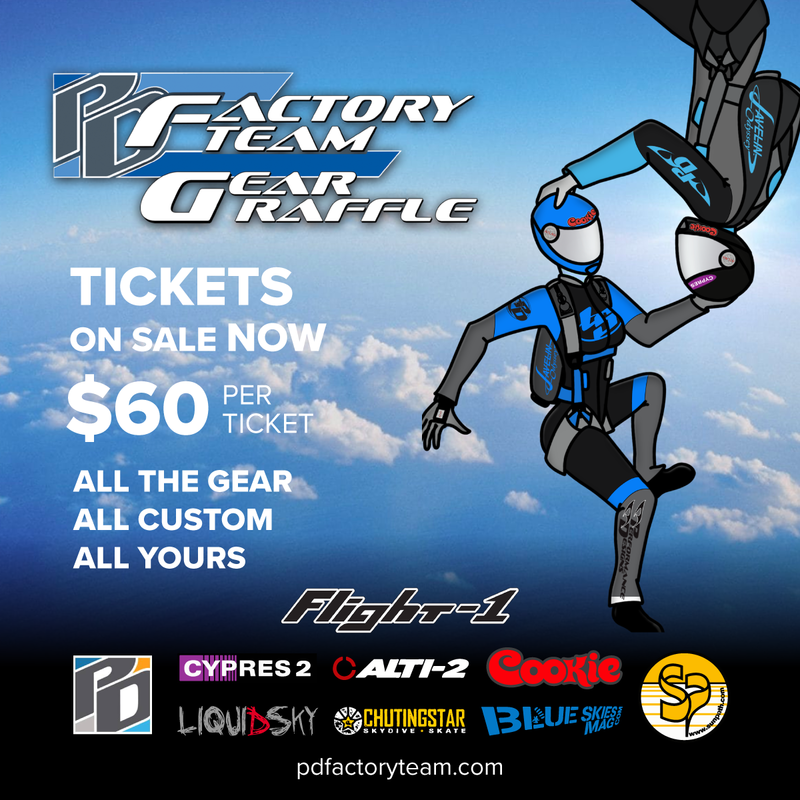 Entering its sixth year, the PD Factory Team gear raffle offers a chance to win “all the gear, all custom, all yours”. With prizes from your favorite skydiving manufacturers, winning can mean getting fully outfitted from top to bottom with brand new EVERYTHING. We’re talking about a main and reserve, jumpsuit, helmet, altimeter, AAD, container, and more. To help bolster raffle ticket sales last year, Price did a freestyle skydive to Swan Lake. Pablo Hernandez got egged in the sky while Ian Bobo and Travis Mills slapped each other across the faces. This year, expect to see more fun (and probably embarrassing) things come from the team. And if you have any suggestions on what the team should do this year, send them over to Sky God so he can vet your ideas.